and I have no idea where to start. There are just so many options. I can't afford a real professional camera, my limit would be $1500 but ideally below $1000. 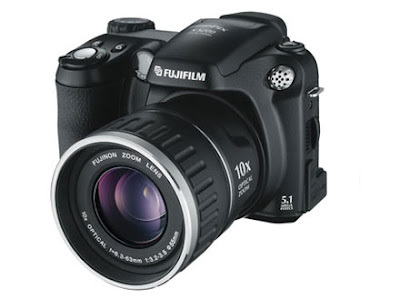 I currently have a Fuji Finepix S5600, which at the time of purchase (2006) was state of the art and expensive, but is now terribly out dated because it is only 5 megapixels. I'm starting to feel it lets me down on image quality on occasions and I need a stronger flash for night shots (a giant professional flash thing is defiantly needed for taking street photos at events) plus some different lenses would be good too. I wish I knew more about the technology and who makes the best lenses and what not but all my photography education was with film camera's and I kinda didn't pay attention to the techy stuff...oops. 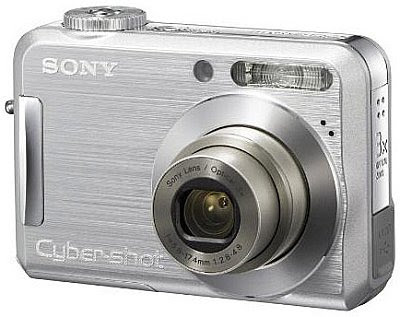 I bought this Sony Cybershot which is 7.2 megapixles back in April and I am reasonably happy with it, there are a few things that annoy me about it (it takes forever to upload the photos to a computer, longer than any digital camera I have ever had before) but mostly it is fine and takes great photos. I don't use this when I'm doing street photos though as it doesn't look professional at all but its great if I do see someone cool when I'm out shopping or something. So I am kinda torn between getting a new professional camera or going to Tokyo in January. I am leaning towards going to Tokyo and getting a new camera some time next year, but I'm not sure if I can wait that long I really want to start taking amazing photos now. If anyone has any info about cameras or any tips that would be great. Camera's are cheaper in Japan so I might just buy one over there if I save up enough spending money in time and find which one I am after...but I am worried about the warranty being for in Japan only and the instruction book in Japanese. I don't know much about cameras but I have a canon 350D dslr and it's pretty good. I think they have a new model out now, the 450D which is a pretty decent camera. You should hunt around on ebay, I find it's tons cheaper and you probably can get a better camera within your price range. 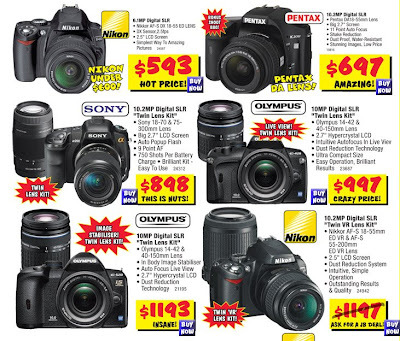 The top players in the SLR market are Nikon and Canon. If you're looking for an entry level Nikon I'd suggest the D40. Megapixels aren't really that much of an issue in reality, but if you want more then the upgrade to the D40 would be the D90. (Do not get the D80, opt for the D40 instead of the D80 as they are similar,. sans the megapixel issue, the D90 however is a big upgrade to both of them on that level, but will be more expensive). In the Canon's the 400D is a good option. Canon's generally have more colour saturation. to see photos taken with the cameras you are interested in. There may even be discussion groups for them! Cannon and Nikon hey. I really like that Nikon D90 you recommended Veer, it has lots of cool features (like continuous shooting which I need for fashion shows) so I am going to research that a bit and check out ebay. Thanks everyone. Definitely Canon or Nikon, as everyone else says. I bought a dSLR this year and did loooaaads of research, and those two come out head-to-head. I have an entry level Canon SLR (400D - an older model now) and it's great, the image quality is really good. There's pros and cons about both brands but they're both pretty similar. In the end I chose the Canon because for the same image quality it worked out a bit cheaper, and it's awesome, I use it mainly for arty type photography not really for general shots. Good luck with your camera hunt, nowadays there are really good dSLRs for under $1500 available, so I'm sure you'll find something awesome. No advice at all - I just wish I could afford a dslr, I use the stills function on a mini DVC! Looking forward to seeing your new photos when you choose a camera! It is not a pro camera - but I kind of liked our dual lense Kodak camera. It gives a really cool fisheye/3d shot. go to the camera warehouse on High street in Northcote. They have all the pro and semi pro cameras just that little bit cheaper than anywhere else. I got mine there!! if you go to places like bic camera and sakuraya, i think you can ask specifically for a worldwide warranty. it will definitely be cheaper there i think! most of them also come in english now, so their manual will have at least two languages too! i need a professionalish camera myself! no money though. bleah!